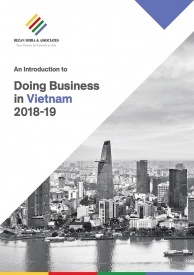 Vietnam, usually associated with the CLMV group (Cambodia-Laos-Myanmar-Vietnam), has started to differentiate itself from its peers in terms of FDI flows, manufacturing clusters, low-cost production, and an emerging middle class with increased income. 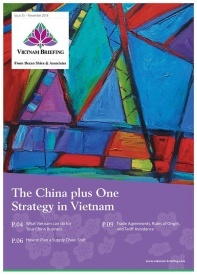 Since the early 2000s, Vietnam has had a steady GDP growth, averaging at around six percent. Last year, it grew by 6.81 percent. This development over the last 20 years has resulted in a strong consumer base, with a per capita GDP growth of 5 to 6 percent and gross national income (GNI) per capita of US$6050 in 2016 (compared to US$910 US in 1990). In recent years, this growth has resulted in diversification of its various sectors such as manufacturing and services. The bilateral trade between the two nations grew by 43.3 percent in 2015 and 9.2 percent in 2016, amounting to EUR 6 billion. 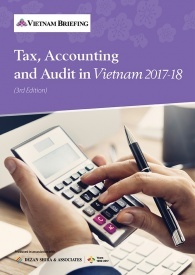 The 2016 exports were led by the deliveries of Airbus aircrafts to Vietnam Airlines and Viet Jet Air amounting to EUR 709.7 million, followed by pharmaceutical exports amounting to EUR 219.3 million, growing by 25.6 percent. French agricultural and agribusiness exports also grew in 2016 to EUR 39.3 million and EUR 156 million respectively. The growth in the 2016 exports of agriculture products is mostly due to the increased access to agri-food products market, such as beef, as well as the rise in popularity of French cereal products whose exports doubled to EUR 19 million in 2016 compared to 2015. Imports from Vietnam grew by 10.6 percent in 2016, with textile and electronic products accounting for 77 percent of the total imports. The textile-clothing-footwear sector imports amounted to EUR 1.9 billion in 2016. Vietnam’s manufacturing and processing sector continues its dominance in 2017 in attracting major investments. 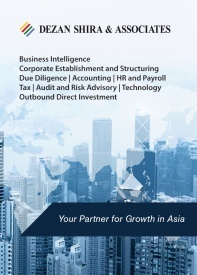 In 2017, FDI, driven by investments from Japan, South Korea, and Singapore, reached US$35.6 billion, with the manufacturing and processing sector accounting for 44.2 percent of the total investments. Vietnam continues to lead among ASEAN countries in attracting Korean FDI, largely due to the multinational firms such as Samsung and LG. Samsung’s export turnover in Vietnam accounts for almost a quarter of Vietnam’s total exports. In the last few years, Vietnam’s textile and garment industry also attracted considerable FDI from countries such as Korea, Japan, Mainland China, and Taiwan. In 2017, textile and garment exports grew by 10.23 percent to US$31 billion. Despite the growing competition from countries such as Myanmar, Cambodia, and Bangladesh in the last few years, Vietnam has emerged as a textile and garment manufacturing center, driven by low wages and favorable trade agreements. With the rise in urbanization, increase in disposable income, young demographic, and an emerging middle class, Vietnam has emerged as an attractive market for overseas retailers. In the 2017 Global Retail Development Index (GRDI), Vietnam ranked the 6th most attractive market for retail investment. Some of the major retailers present in Vietnam are Lotte Group, GS Retail, 7-Eleven, Central Group and Emart. 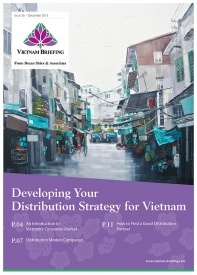 There are 800 supermarkets, 150 shopping malls, and about 2.2 million retailers in Vietnam. Convenience stores and mini-marts are the fastest-growing segments in this market and are the most preferred mode of market entry for overseas retailers. The retail sales reached its highest-ever in 2017 to US$129.6 billion, growing by 10.9 percent. Some retailers investing in Vietnam, especially in Ho Chi Ming City, consider the city as a foothold for expansion in the country, as well as into neighboring countries such as Laos and Myanmar. Following the 2013 Vietnam-France strategic partnership, bilateral trade has intensified with an average annual growth of 15 percent. France is the second largest EU investor in Vietnam after Germany and is among the top 10 overall investors in the country. It has 185 projects amounting to US$848 million in Ho Chi Minh City, its largest FDI destination in terms of the number of projects. In 2017, Airbus sold 40 aircrafts to Vietnamese airlines, while Alstom, along with Colas Rail and Thales, signed a contract for EUR 190 million for the construction of a metro system. Transport and infrastructure, along with agri-food industry continue to be the focus of French investors. Based on future demand, the emerging industries in Vietnam will be in the areas of healthcare, environment, and urbanization. Following its acquisition of Ly Sinh Cong in 2016, Lectra, the French leader in textile technology solutions, established itself in Ho Chi Minh City. The acquisition allowed Lectra to better respond to a growing demand and help Vietnamese companies and locally established foreign groups to galvanize their production with new technologies. Another example is Schneider Electric, the energy management and automation multinational that completed the construction of its USD 45 million production center in the Saigon High Technology Park (SHTP) in 2017. Serving the ASEAN and Australian markets with high-tech products for smart homes, the production center is one of the largest amongst its 200 production centers in the world. 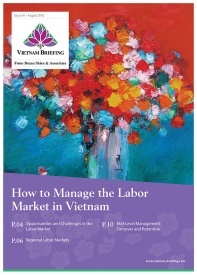 The overall outlook for Vietnam continues to remain positive, mostly due to a robust global economy, domestic reforms, trade, and a shift towards high-tech industries.